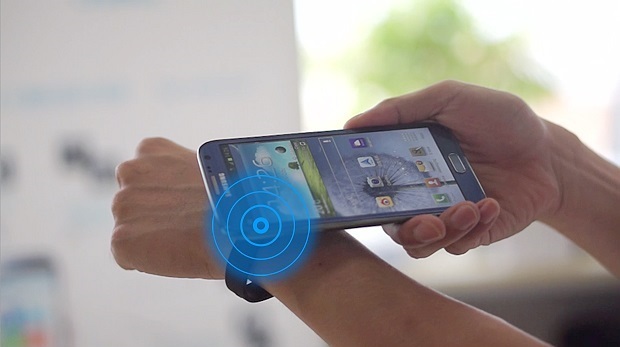 If you're a fan of NFC then you'll definitely love this Haloband wristband that has popped up on Kickstarter. A device that aims to make your daily life easier by freeing you from the repetitive tasks you need to do to lock, unlock, and launch apps on your smartphone - allowing you to do it with a single tap on your wrist (or more than one, as we're about to see). If you ever used (or regularly use) NFC tags you'll know what I'm talking about. You can easily specify preset actions whenever you touch these tags, like setting your smartphone for car operation when you enter your car, or "night mode" by tapping a tag next to your bed. And with Haloband you get a tag that is always on your wrist, that you can use to unlock your phone, launch the camera app, turn on the flashlight, or even send a distress signal with your location to friends and family. 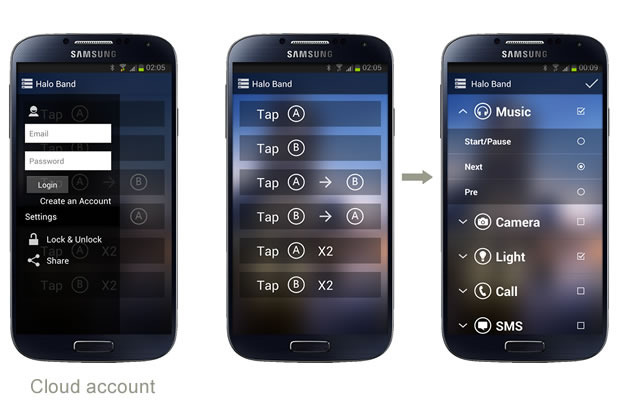 But... the original thing about Haloband is that you don't get just a single NFC tag on your wrist, but three! 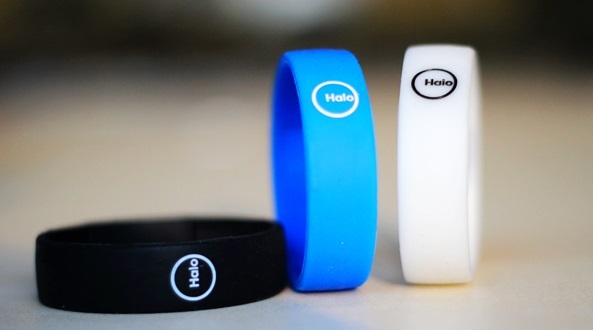 The Haloband has three distinct NFC tags: A/B/C. And that allows you to create a much wider range of actions by using multiple taps and sequences. For instance, you could set tap A to launch Facebook while B opens up Twitter; and two taps on A to call someone while a A-B sequence locks your smartphone or sends a SMS. I do love the concept of this Haloband, but I can't stop wondering about some issues. For instance, for it to work properly you'll need to have a "perfect fit", so it isn't too tight and be uncomfortable to use, but also not too large that makes it spin around your wrist and mess up the "zone" placement. Also, at $25 I feel it's slightly above the price I'd be willing to pay for it "without a thought" (the initial $19 was much more appealing). But... I guess there's no shortage in NFC fans that are more than willing to pay $25 for this tri-NFC Haloband. If you're interested, you can back the project on Kickstarter, and hope they'll be able to fulfill their promise of shipping by February.